In February 2017, Rhode Island legislators proposed a bill that would require employers to provide paid sick leave to employees. Prior to their summer recess, the house and senate passed different versions of the bill (House Bill 5413 and Senate Bill 290). Joanne Chagnon was a registered nurse at Lifespan’s Miriam Hospital in Providence. She began working at the hospital in 1991 and was promoted four times. Her last review, in December 2014, was positive. As of February 2015, she supervised other nurses in two settings, a cardiovascular procedural care and endoscopy unit (PCU) and the cardiac catheterization and EP laboratory (cath lab). 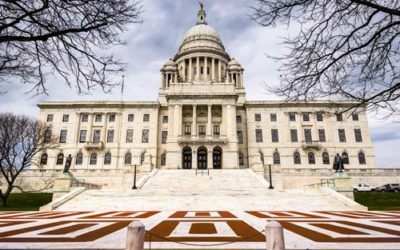 The Rhode Island General Assembly passed a final sick time bill, to be effective July 1, 2018. It is expected that Governor Raimondo will sign the bill into law. Michael J. Beagan worked as a delivery driver for a transportation company for several years. The events that led to his termination arose after the company implemented a new accident policy. In June 2014, Christine Callaghan applied for a summer internship at Darlington Fabrics Corporation. During the hiring process, Callaghan signed a “Fitness for Duty Statement,” which acknowledged that she would need to complete a pre-employment drug test. The U.S. 1st Circuit Court of Appeals (whose rulings apply to all Rhode Island employers) recently affirmed summary judgment (dismissal without a trial) in favor of an employer on a claim that it failed to accommodate an employee’s disability in violation of the Americans with Disabilities Act (ADA). We successfully defended a prominent local retail chain which was accused of underreporting and underpaying sales tax to the State of Rhode Island in violation of Rhode Island’s False Claims Act. So breathe a sigh of relief, and carry on with your work. The U.S. Court of Appeals for the 1st Circuit (whose rulings apply to all Rhode Island employers) recently affirmed summary judgment (dismissal without a trial) in favor of Amtrak on an employee’s claim of race discrimination. The Rhode Island federal court recently held that a buyer of an employer’s assets can be liable for the seller’s violations of federal and state wage laws, even if the buyer is a separate entity with distinct management and ownership from that of the seller. If the buyer continues the seller’s business operations, it should conduct careful due diligence and confirm that the seller will have sufficient assets after the sale to satisfy any lingering debts. 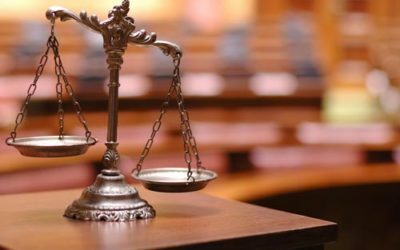 We represented an individual who was falsely charged with a first-degree sexual assault.